Miami (AFP) – Bermuda braced for Hurricane Nicole on Thursday as the powerful Category Four storm churned towards the islands already buffeted by tropical storm conditions, forecasters said. “On the forecast track, the core of Nicole will pass near Bermuda later this morning,” the US National Hurricane Center said in an 0500 GMT update. The storm’s top sustained winds were around 130 miles (210 kilometers) per hour, with higher gusts, the Miami-based NHC said. Nicole was about 100 miles (165 kilometers) southwest of the tiny British islands in the Atlantic, moving north-northeast at 15 miles per hour. 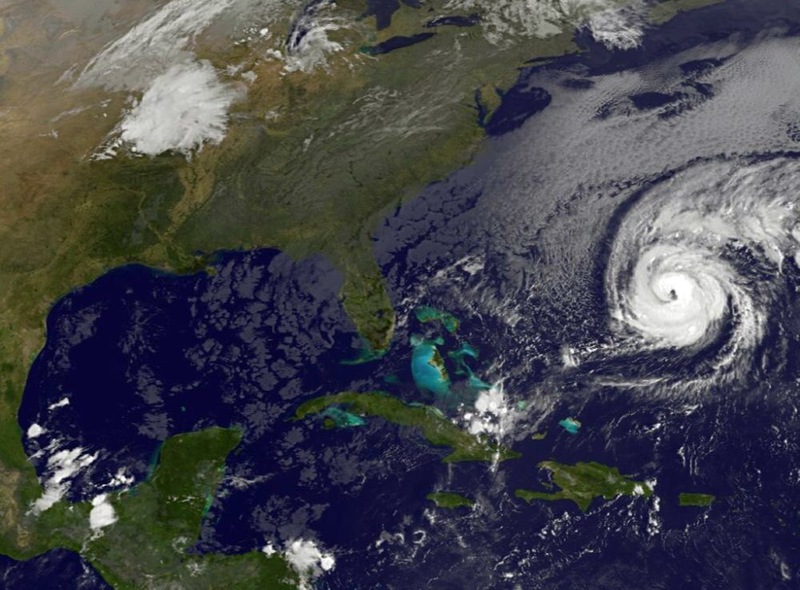 Hurricane-force winds extend 65 miles from the center, the NHC said. “Although a gradual weakening is forecast, Nicole is expected to be at major hurricane strength when it moves near Bermuda later today,” it added. The authorities closed schools and government offices, and buildings were boarded up as heavy wind and rain hit the islands on Wednesday. Airlines have canceled flights to the islands. A dangerous storm surge will raise water levels by as much as six to eight feet (two to 2.5 meters) above normal tide levels, accompanied by “large and destructive” waves, the NHC said. Nicole is expected to produce total rain accumulation of five to eight inches (10 to 20 centimeters) over Bermuda, it added. The storm may also bring tornadoes on Thursday. The hurricane will also spread surf swells north along the East Coast over the next few days, the NHC said. Last week, Hurricane Matthew caused devastation in Haiti and other Caribbean countries before sweeping up the US southeast coast.